Whether it's the shows, the lights, the casinos or just the upbeat and frantic vibe, Las Vegas appeals to everyone! 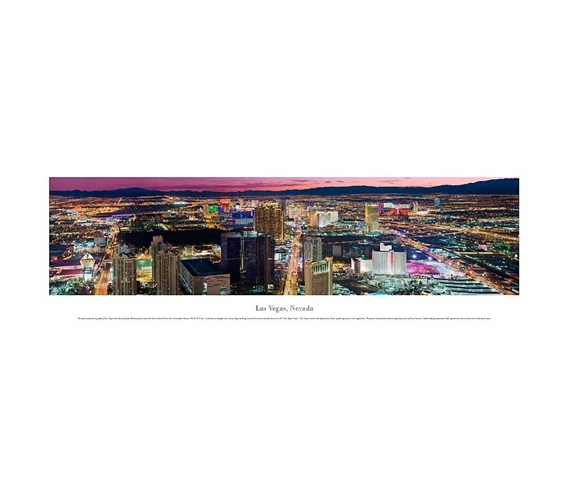 All those lights, of course, offer some spectacular views, as can be seen on this Las Vegas, Nevada - Lights Panorama. A panorama on your dorm wall takes it from bland to stunning since panoramas are some truly epic college wall decorations. Dorm decor products can go beyond college posters. Try a panorama or two for a decorative and stunning touch to your college decor. After all, dorm decorations are needed college supplies to keep that dorm room from looking too generic and, well, blah. This panoramic photograph of Las Vegas was taken by James Blakeway from atop the Observation Deck at the Stratosphere Casino, Hotel & Tower. 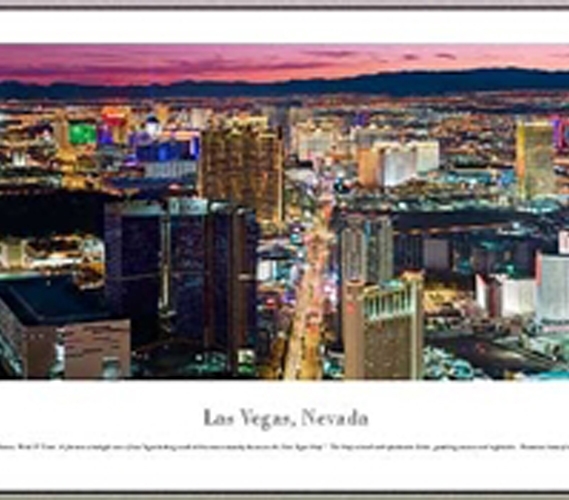 It features a twilight view of Las Vegas looking south at the area commonly known as the “Las Vegas Strip.” The Strip is lined with spectacular hotels, gambling casinos and nightclubs. Numerous luxury hotels feature legendary stars of show business, breath-taking amusement rides, glamorous chorus lines and tribute performers. With the combination of a pleasant year-round climate, legalized gambling, top name entertainment and impressive convention facilities, Las Vegas has established itself as one of the most popular destinations for tourists.